This weeks walk is in the headlands/woods at the top of Foz do Alrelho. The meeting point is at the Green Hill Disco, just off the big roundabout before driving down to the beach at Foz. 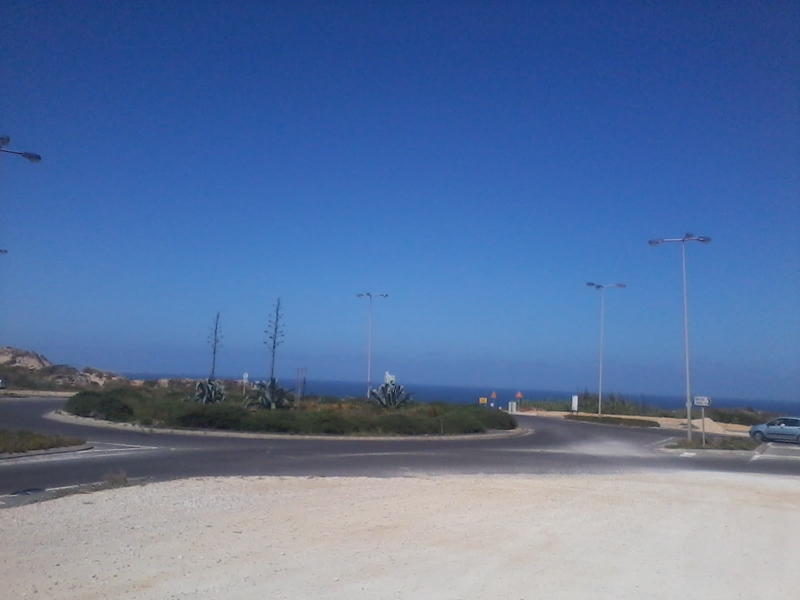 When driving from Sao Martinho do Porto area come along the Estrada Atlantica through Salir do Porto towards Foz do Alrelho. Follow the road until you come to your first roundabout shown in the photo below, go all the way round the roundabout as if you are coming back on yourself up the Estrada Atlantica, then turn right as soon as you are back on the Estrada Atlantica onto the gravel area in front of the Green Hill Disco. The map below shows where the Green Hill Disco is. 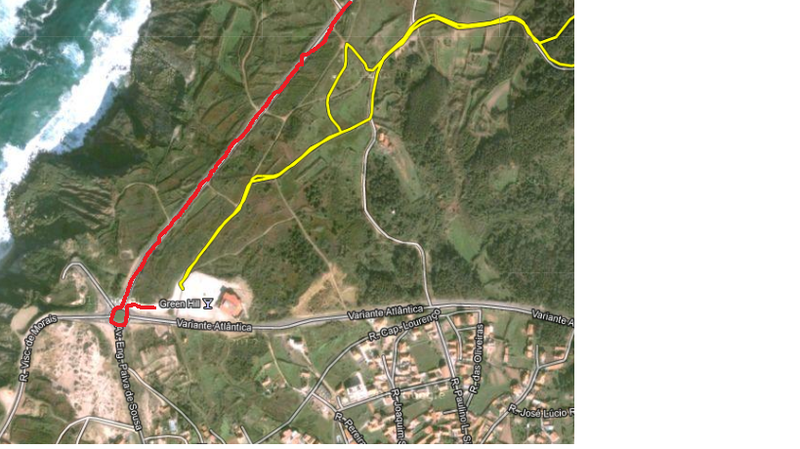 The red line is the Estrada Atlantica from Sao Martinho do Porto and Salir do Porto and shows the entrance to the Green Hill Disco. The yellow line is where we will be walking with our dogs. 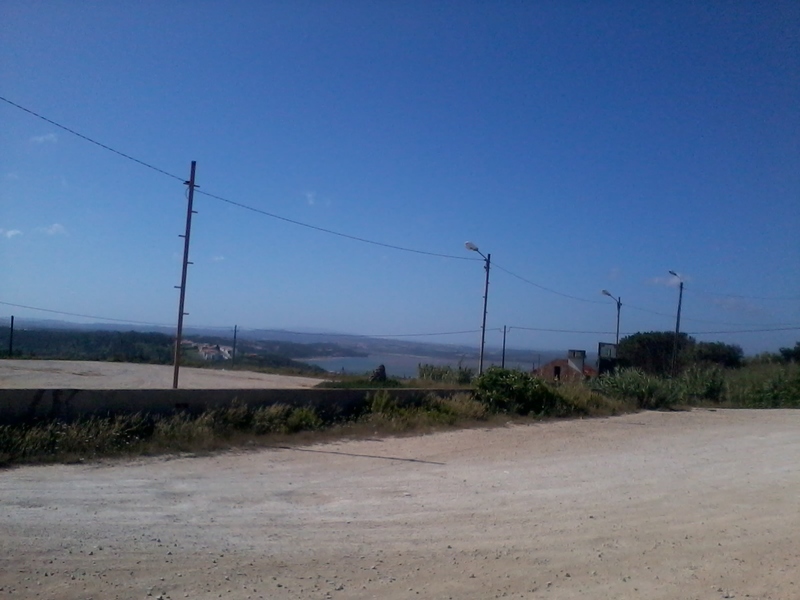 Coming from Caldas da Rainha, drive along the Av. Atlântica onto the Variante Atlântica going past Aki and Meclovenia as you leave Caldas da Rainha towards Foz do Arelho. Keep going along this road until you come to the roundabout (you can see the Green Hill Disco on your right as you approach the roundabout) at the end of this road. 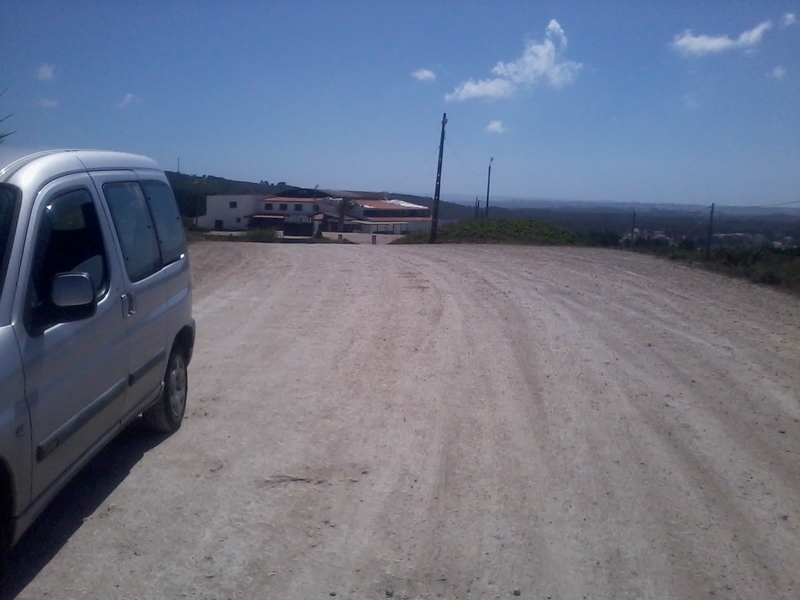 Take the first exit towards Salir do Porto and São Martinho do Porto onto the Estrada Atlântica, but then take an immediate right onto the gravel track to the Green Hill Disco. Drive along the track for a short distance to in front of the Green Hill Disco and you will see us parked up.